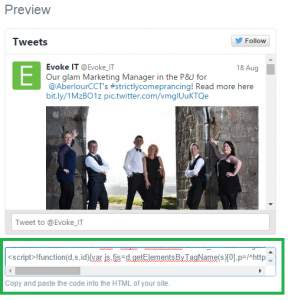 Embedding Twitter Timelines to a SharePoint page is a two-step process. Firstly you need to have a Twitter account you can log on to. Once you are logged on, click your picture in the top right and click Settings. Then click Widgets from the menu on the left, then Create New from the top. You will now be presented with the following window. 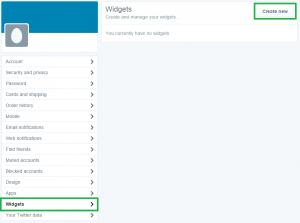 Along the top you will see that you can create widgets from multiple sources, whether it’s single user timeline, multiple or your favourite twitter account. For the purpose of this blog, we will use the User Timeline. 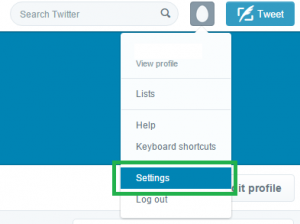 Specify the account in the Username box and have a play with some of the settings. Once you’re happy, click Create Widget. Now you will be given some HTML just below the Preview for you to add to your SharePoint page. Create a new text documents as *.txt (e.g twitter.txt), paste all the HTML from Twitter into it then save it somewhere handy for the next step. Back on SharePoint, go to library from Site Contents such as Site Assets or Documents and upload your twitter.txt. 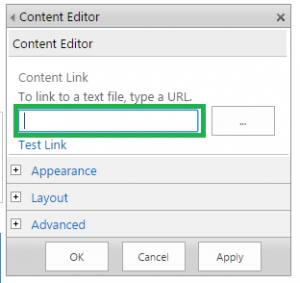 Once it is uploaded, click the ellipsis and copy the URL that is given to your clipboard. 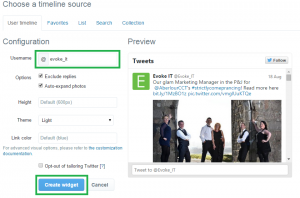 Next, navigate to your SharePoint page that you wish to add the Twitter widget to and go in to Edit Mode. Click on one of the web part zones Add a Web Part links, then from here choose the Media and Content category then Content Editor from the Parts pane. 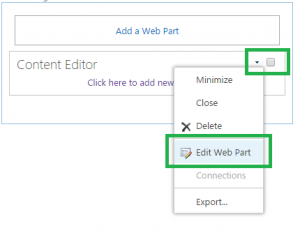 Your content editor will be added to page, so now go in the Web Part Properties. Copy from the URL from below into this box and click OK.
Feel free to play around with the web parts, give it a more meaningful title than Content Editor or hide the title completely. Once you’ve saved and published your page, you’ll see your twitter feed embedded on the page. And that’s it! One thing to remember, is that this embedded twitter timeline is looking directly at the twitter widget we created on Twitter, so if you remove the widget on twitter, it won’t display on SharePoint! Our local team can help you if you are having issues. They are based in Edinburgh and Aberdeen but we do work remotely as well. 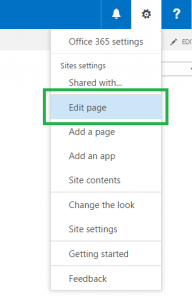 Get Up To Speed With SharePoint 2019! Unable to Create Drop Down Menus on Top Navigation in Microsoft SharePoint 2010?